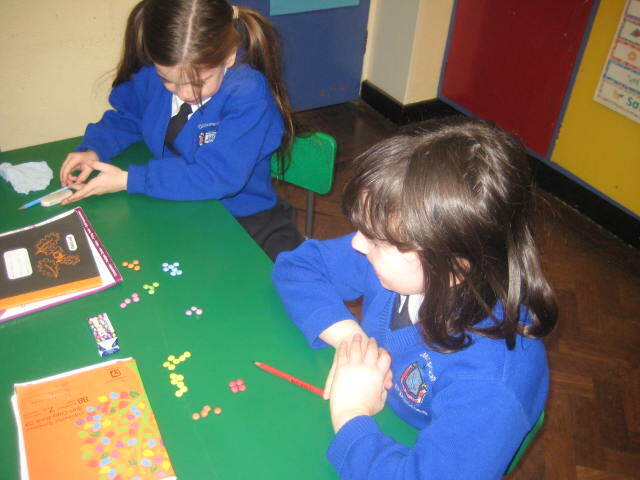 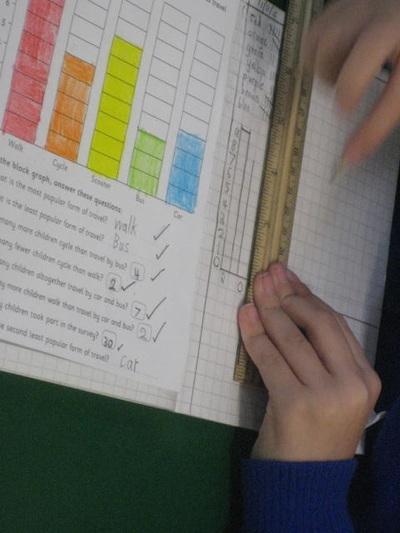 We have been working on Data in Maths this month. We know how to tally and how to make bar graphs. 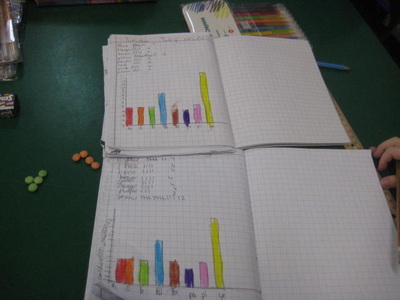 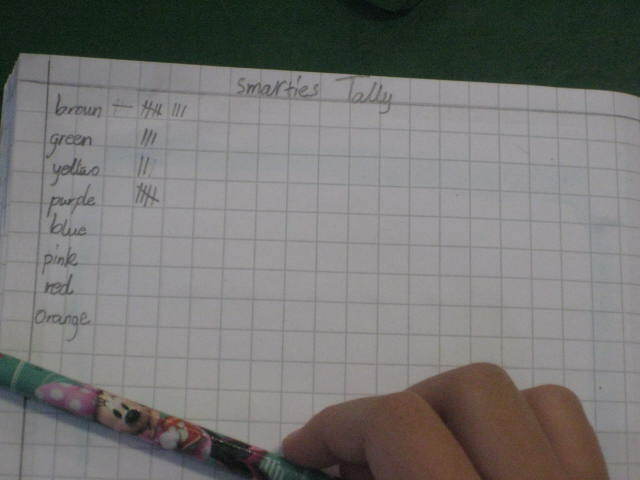 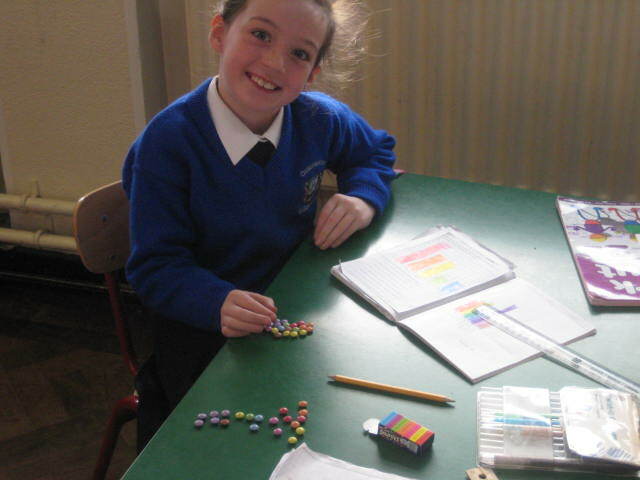 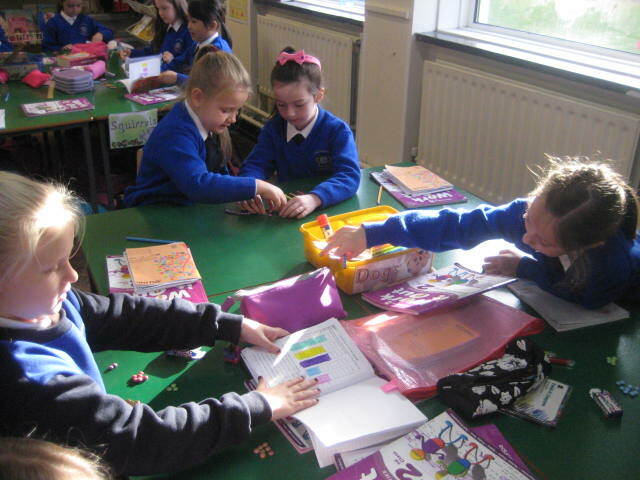 As a treat we graphed the different colours of Smarties in a Smarties box! 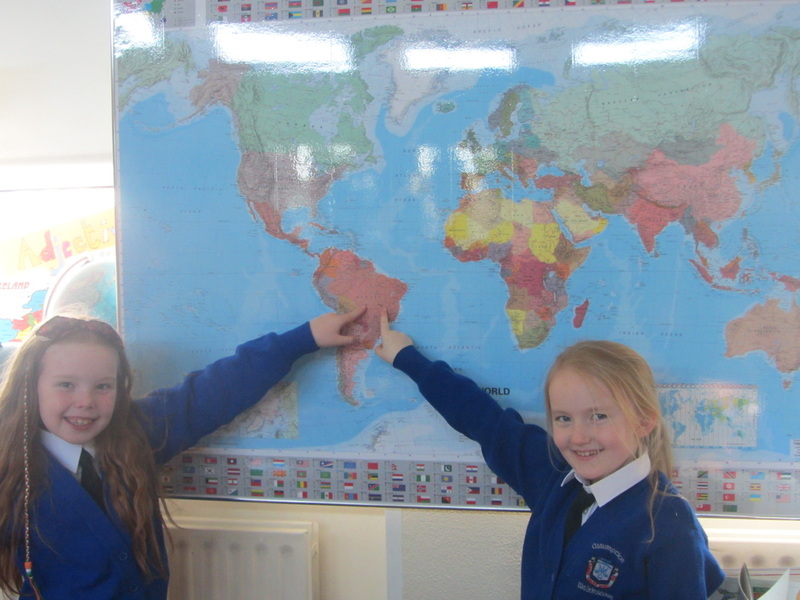 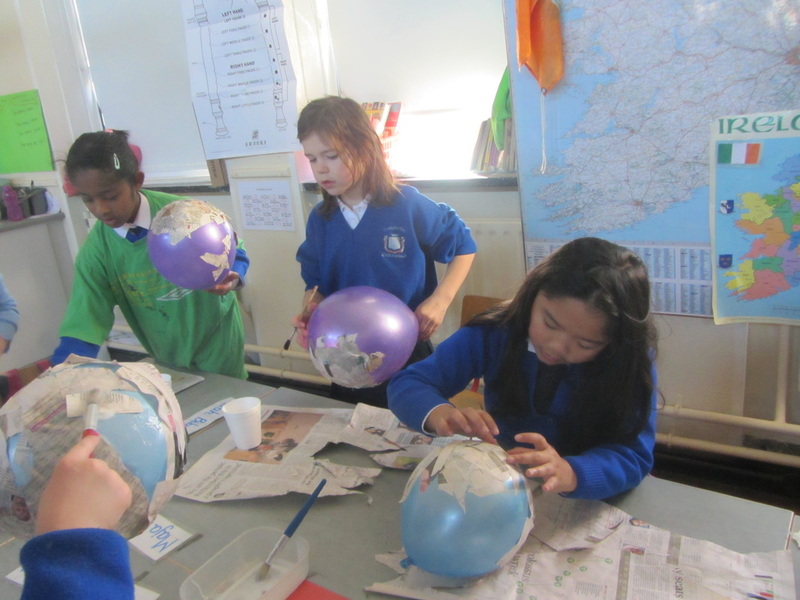 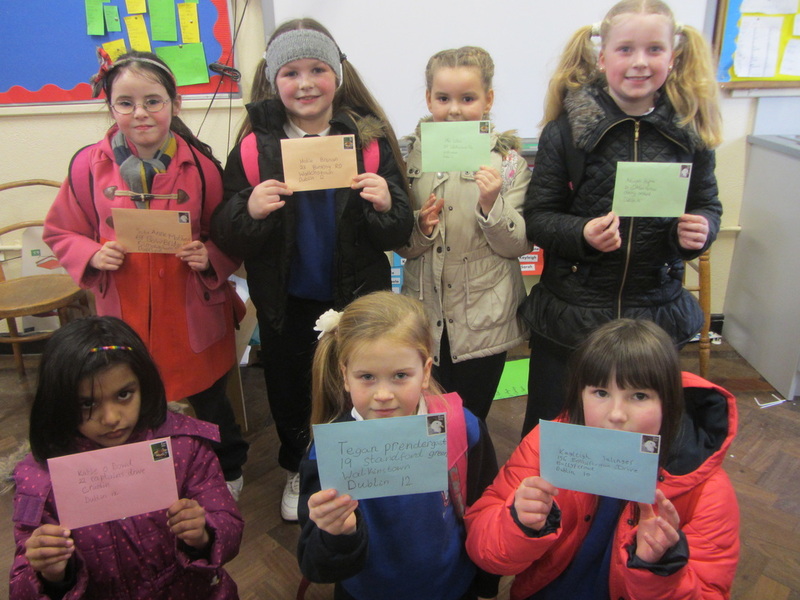 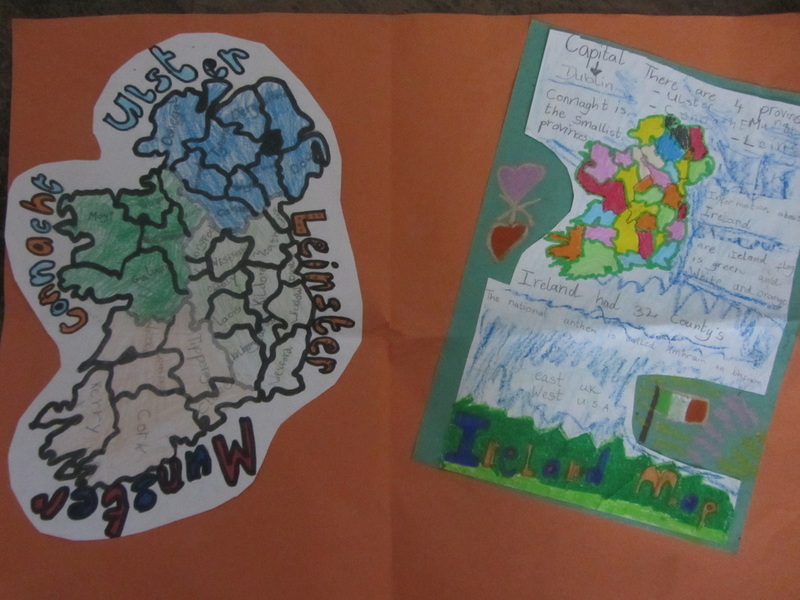 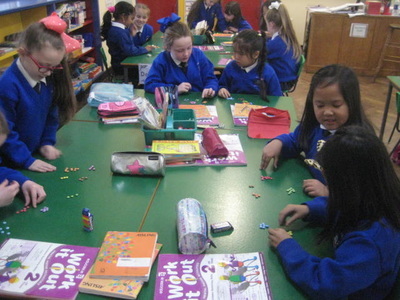 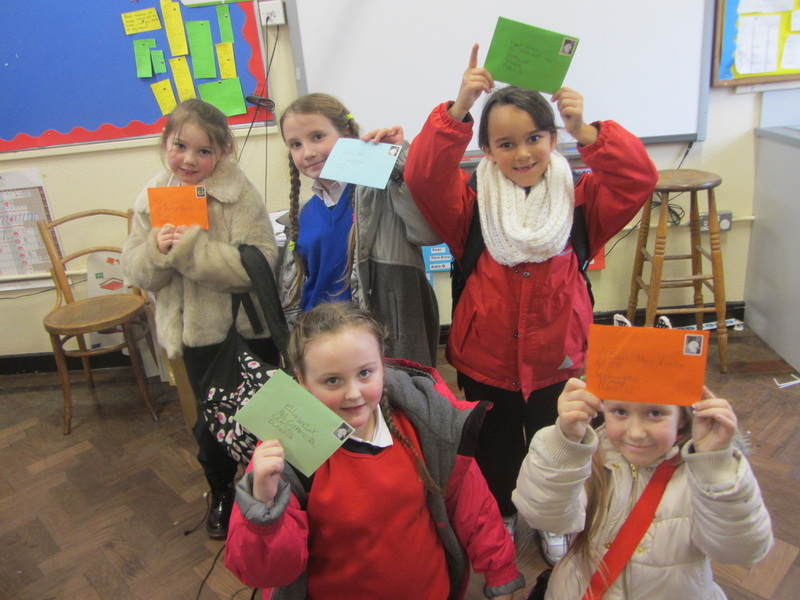 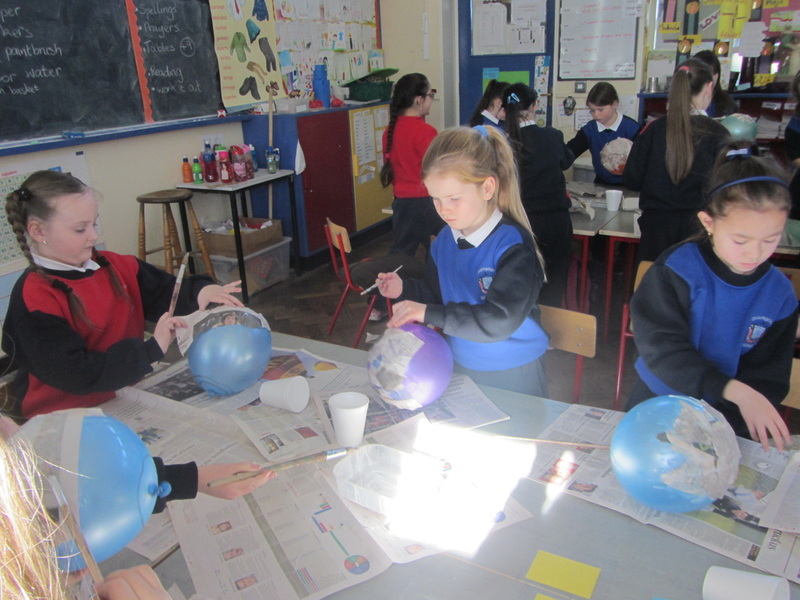 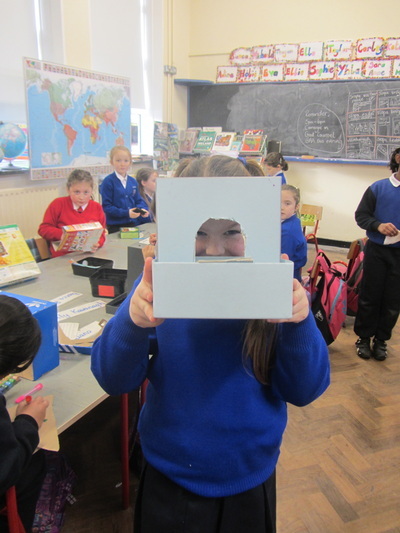 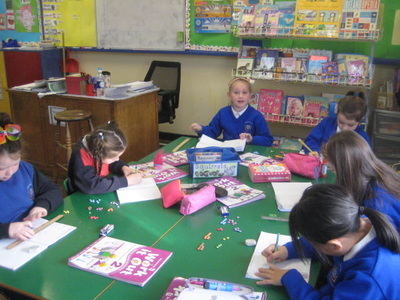 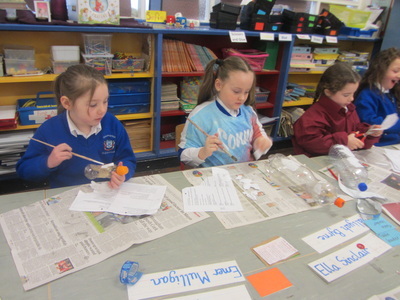 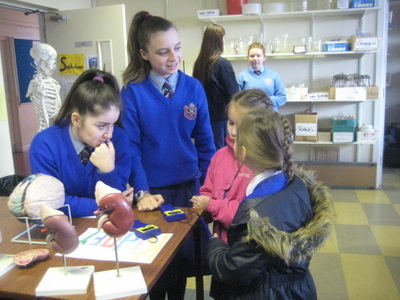 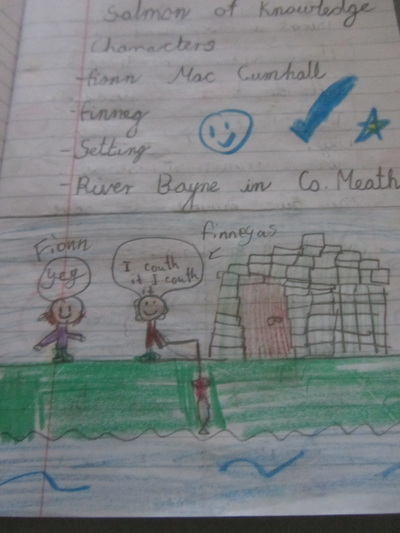 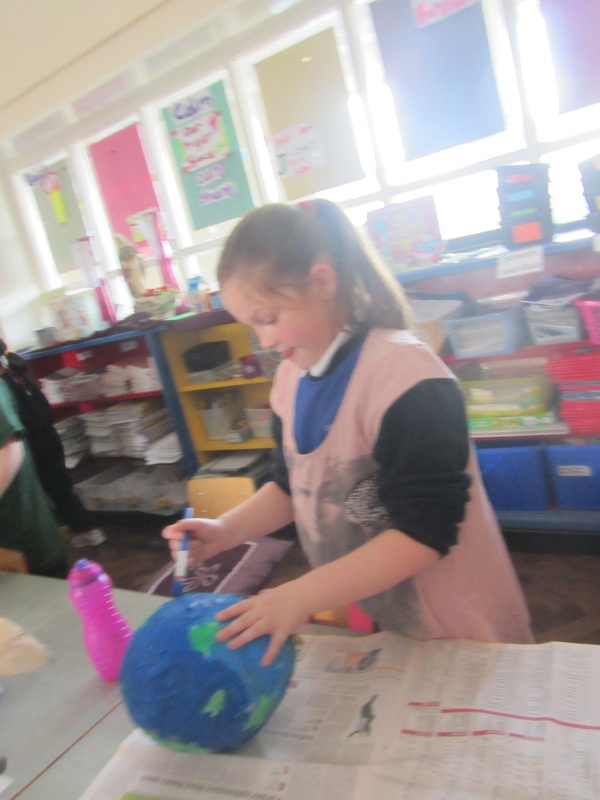 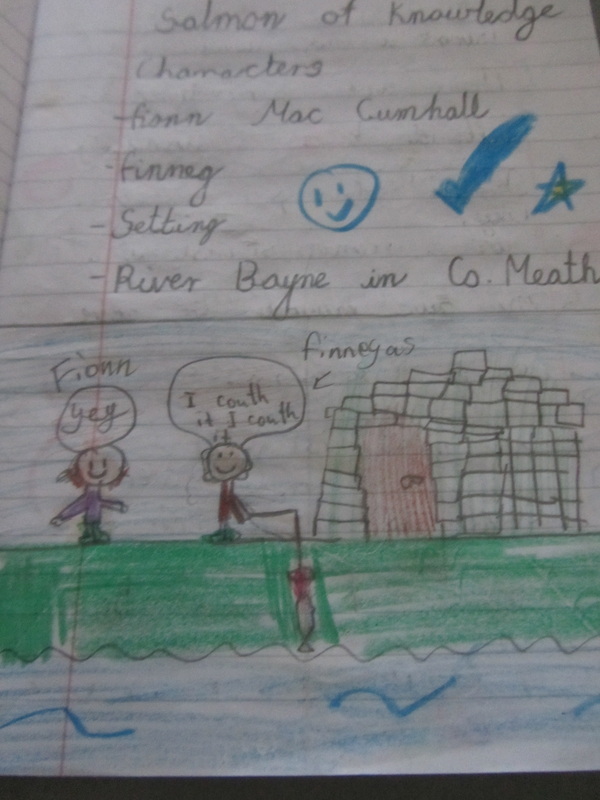 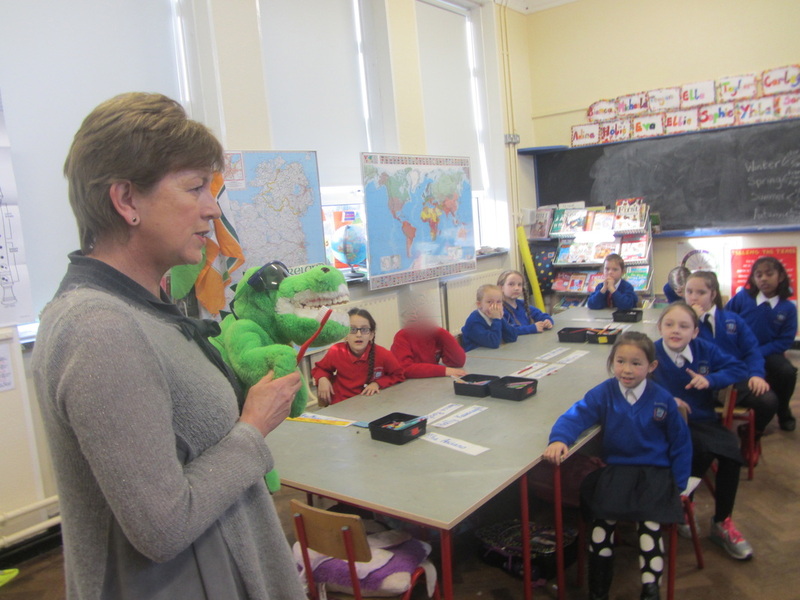 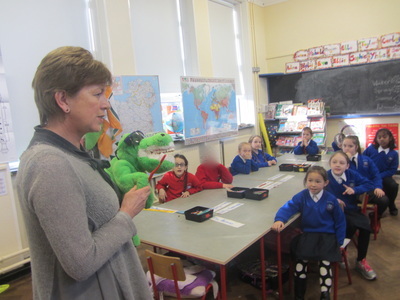 Earlier in the year the second classes spent time studying Ireland, learning about the provinces, the counties and legends that are a rich part of our history. 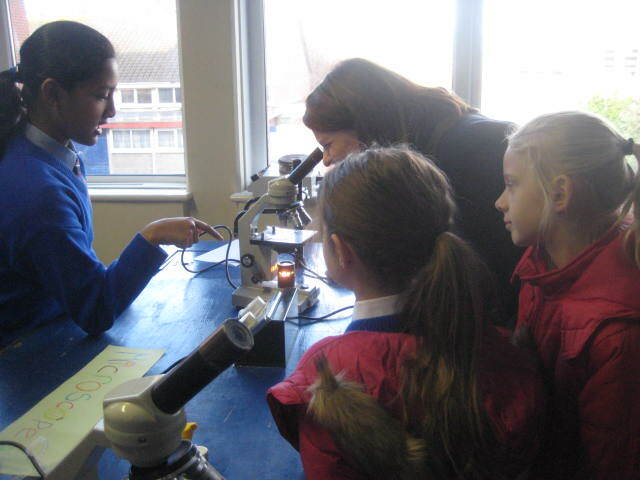 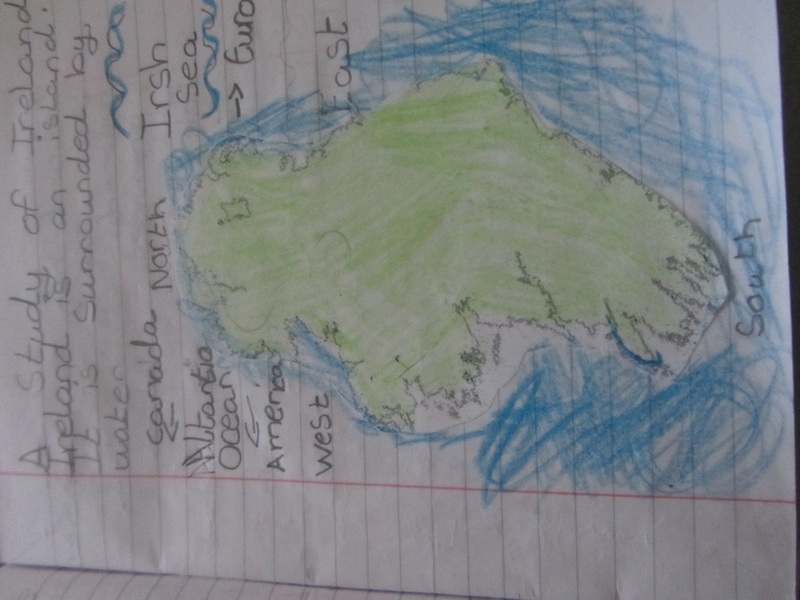 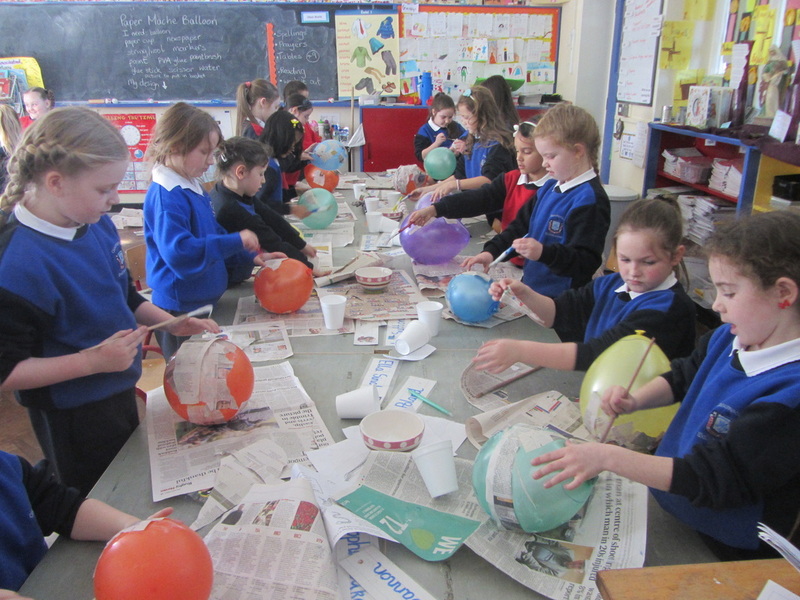 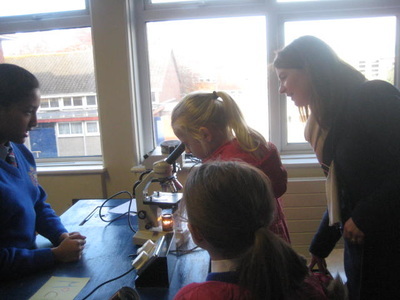 They also learned about waters that surround our country, our place in Europe and our location in the wider world. 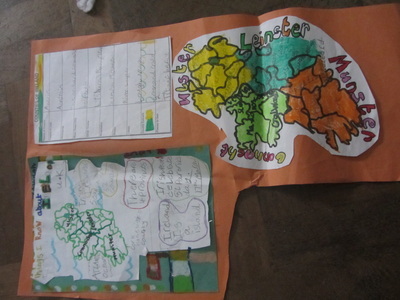 As part of our world study the students showed particular interest in festivals celebrated both in Ireland and further afield! Our bird theme has been a big hit! 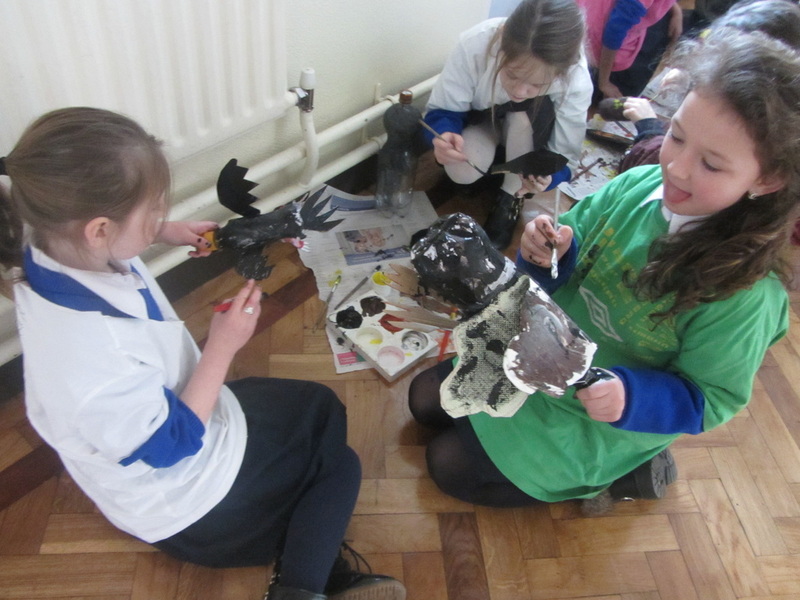 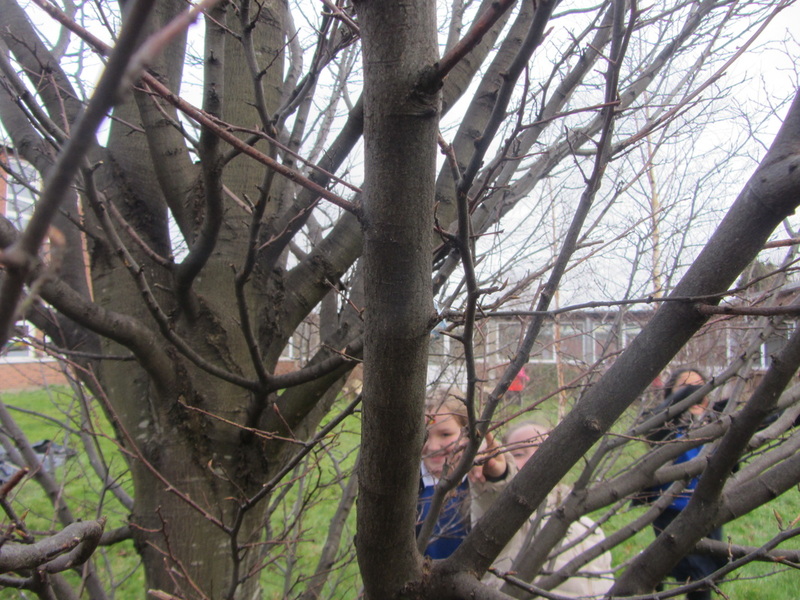 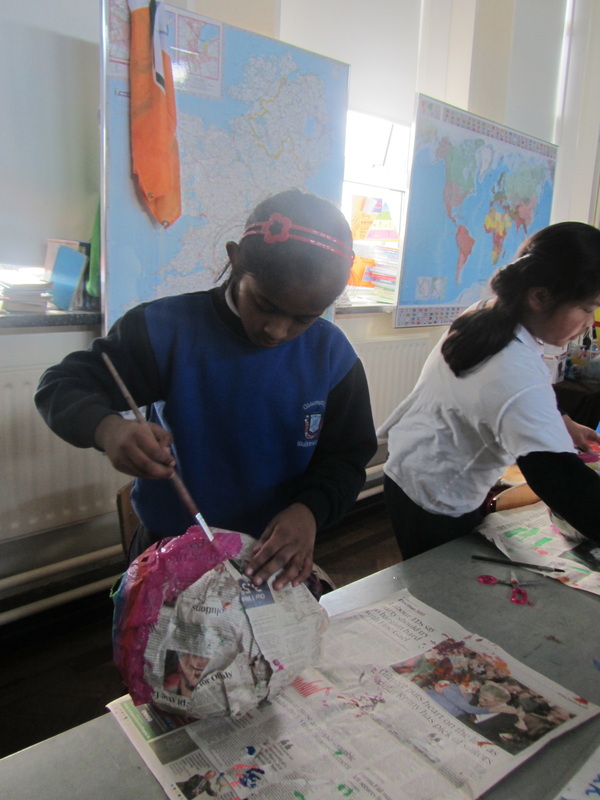 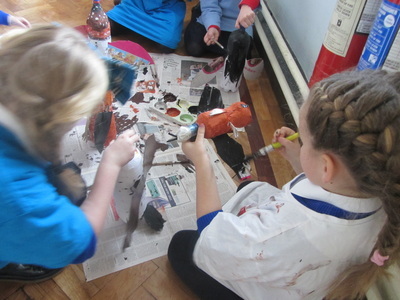 The students are enthusiastically working in our 'Friends in Nature' theme. 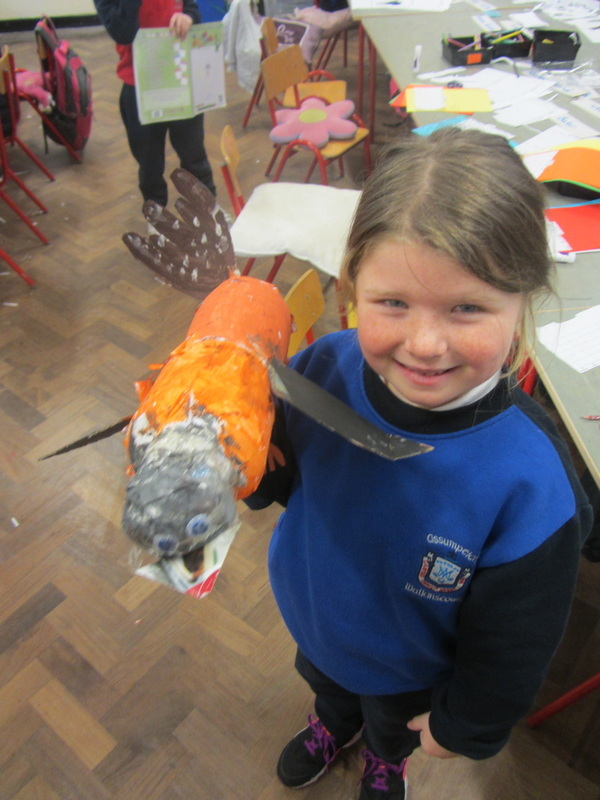 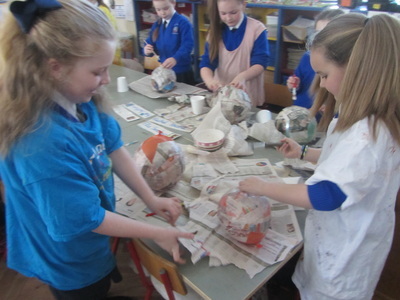 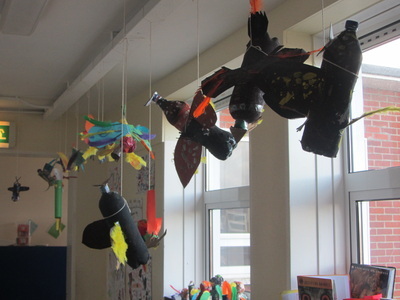 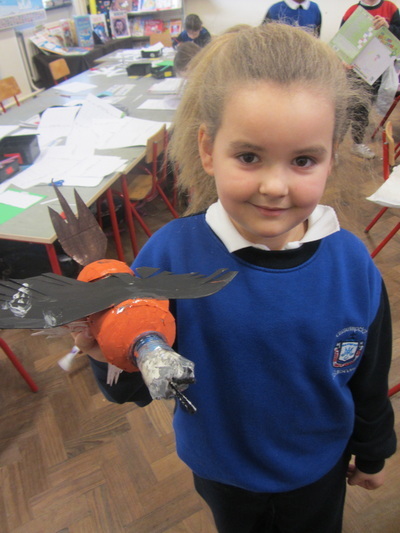 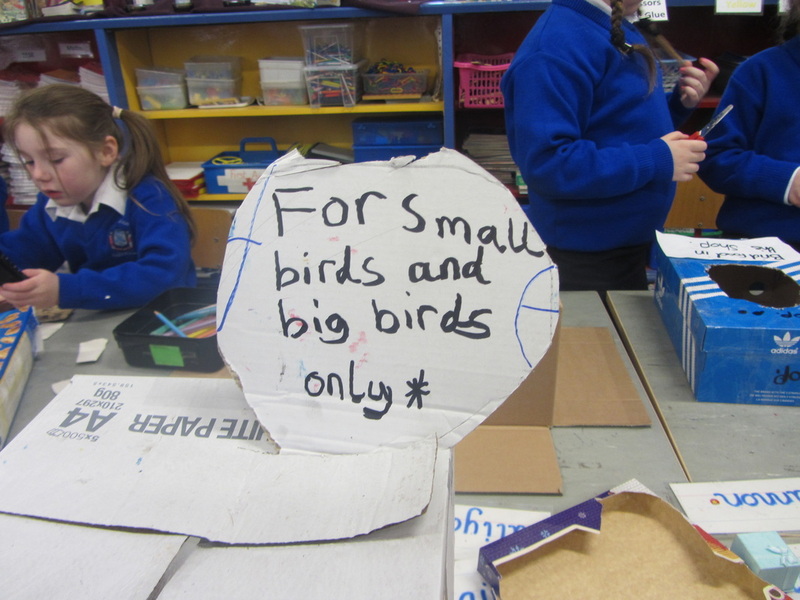 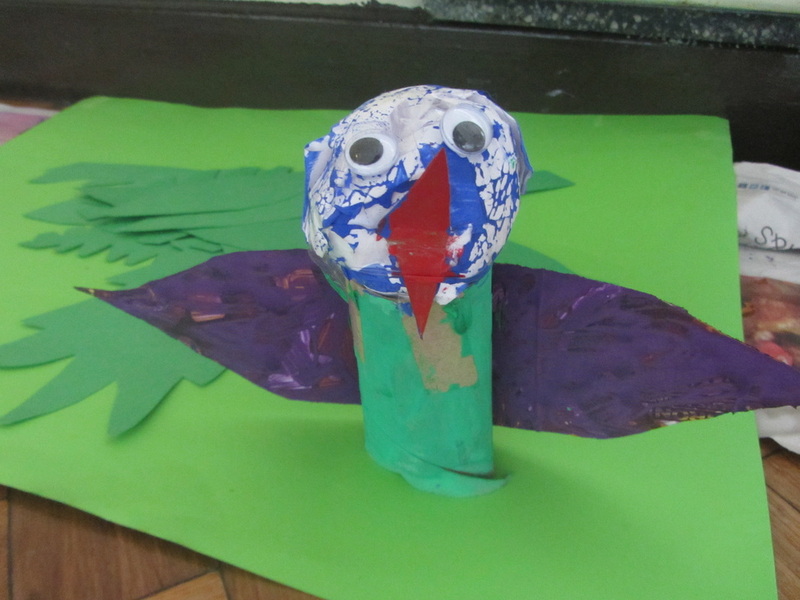 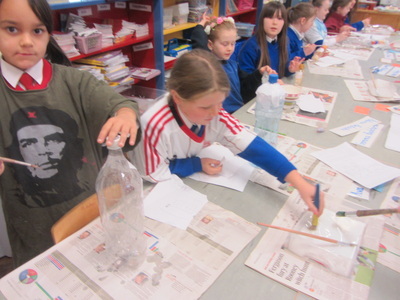 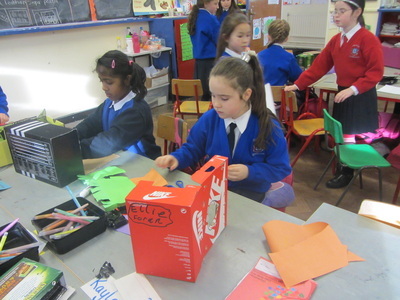 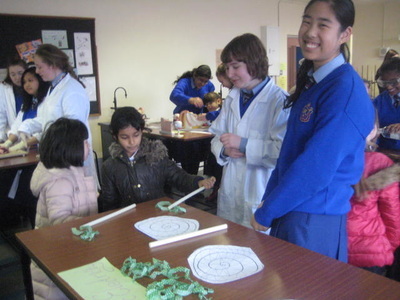 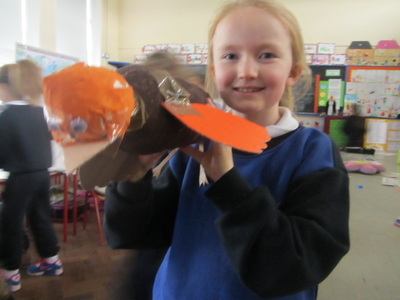 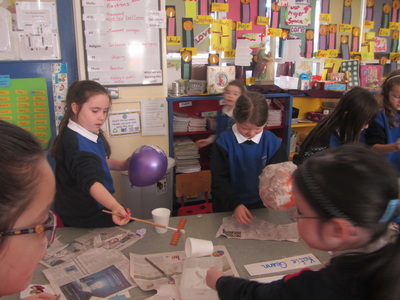 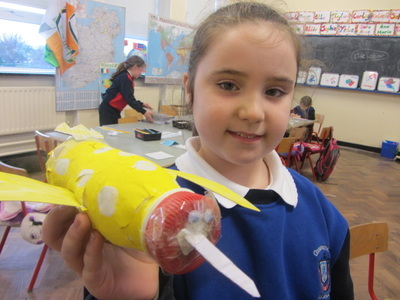 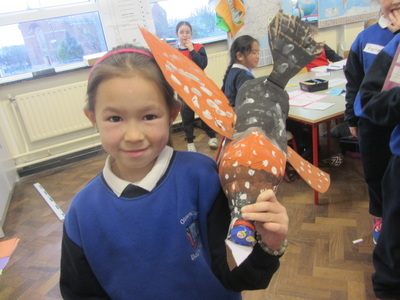 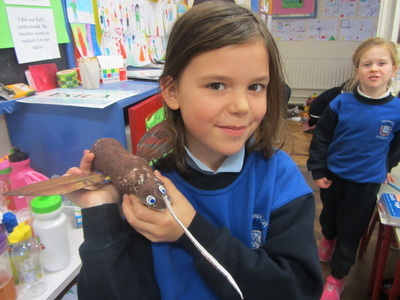 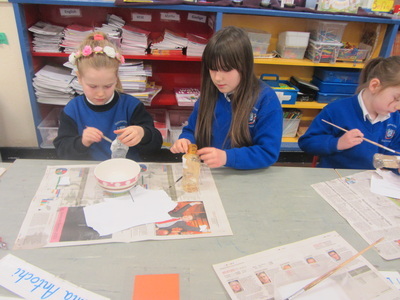 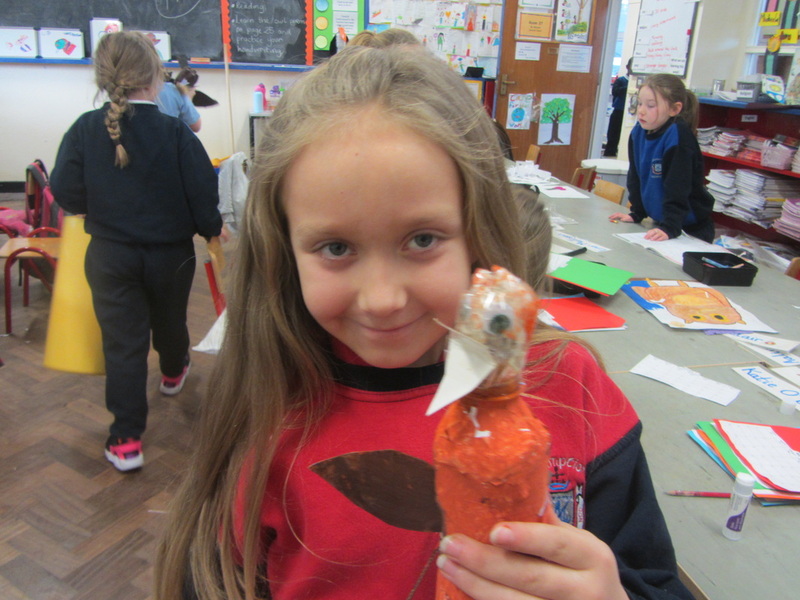 Their designs were a great start to this theme that has incorporated English (poems, bird fact files, research), Science (design and construction), Art (sketching, designing, construction), Geography (birds native to Ireland and migration). 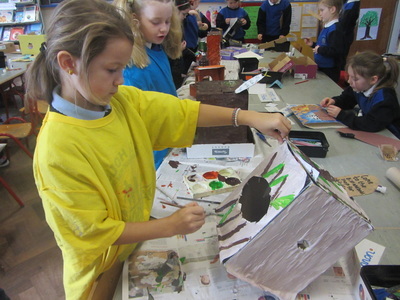 Science through construction, English through their owl fact files and poetry. 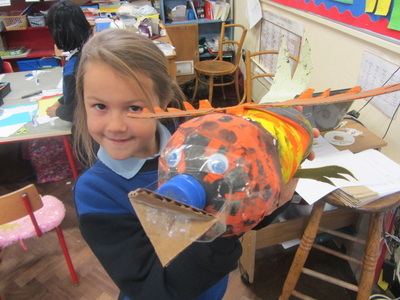 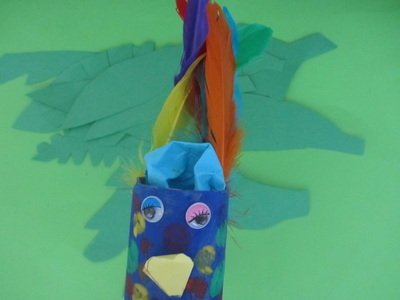 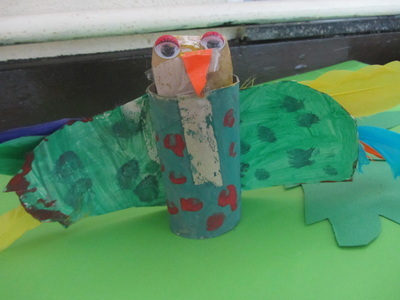 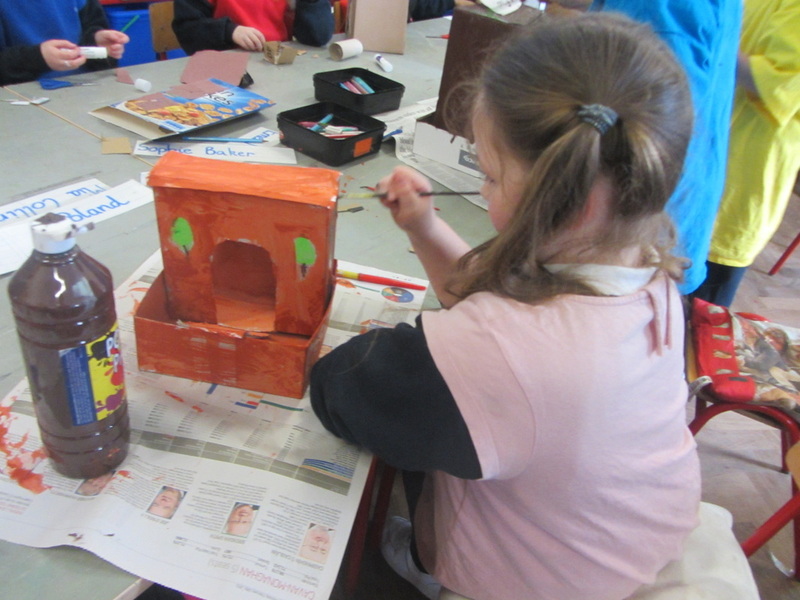 Art through the design and creativity of the student's 3D birds and 3D birdhouses. 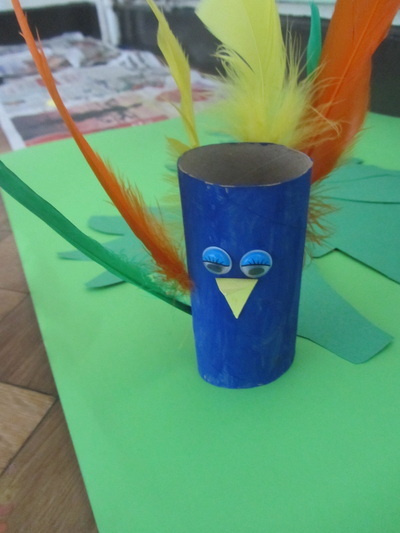 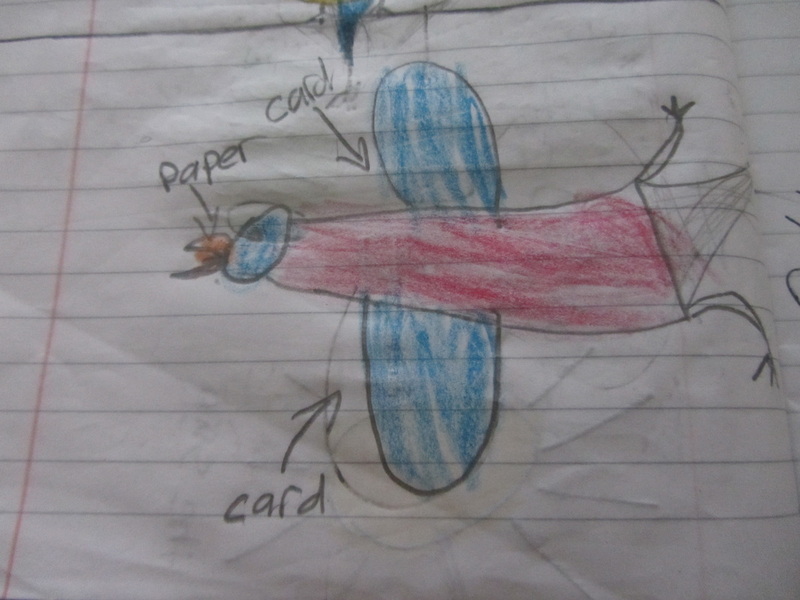 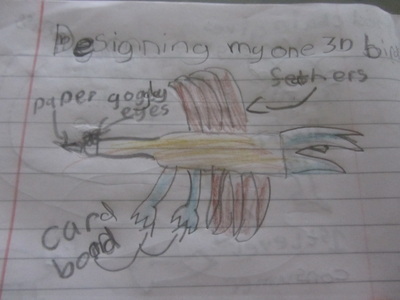 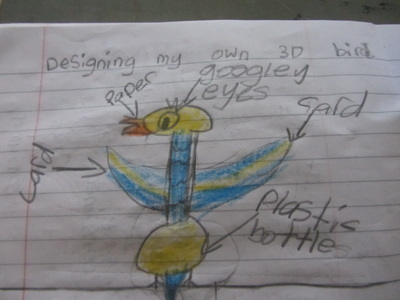 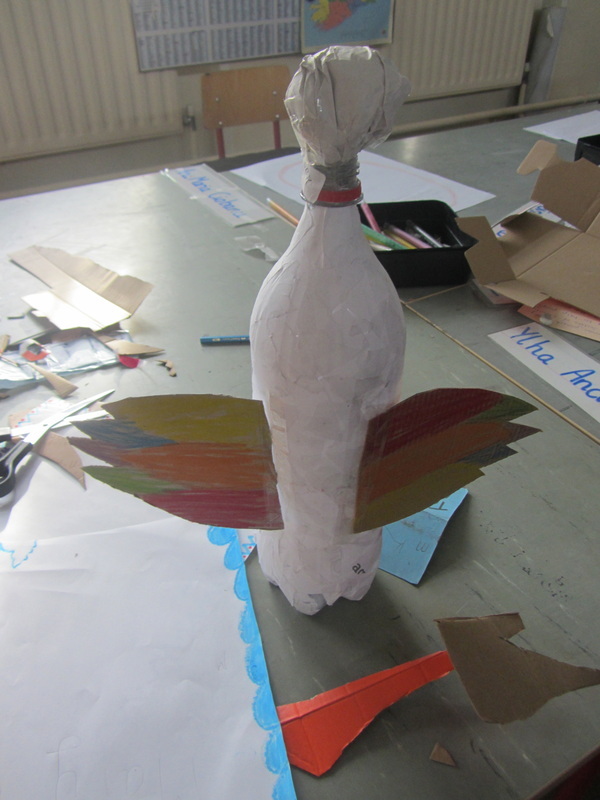 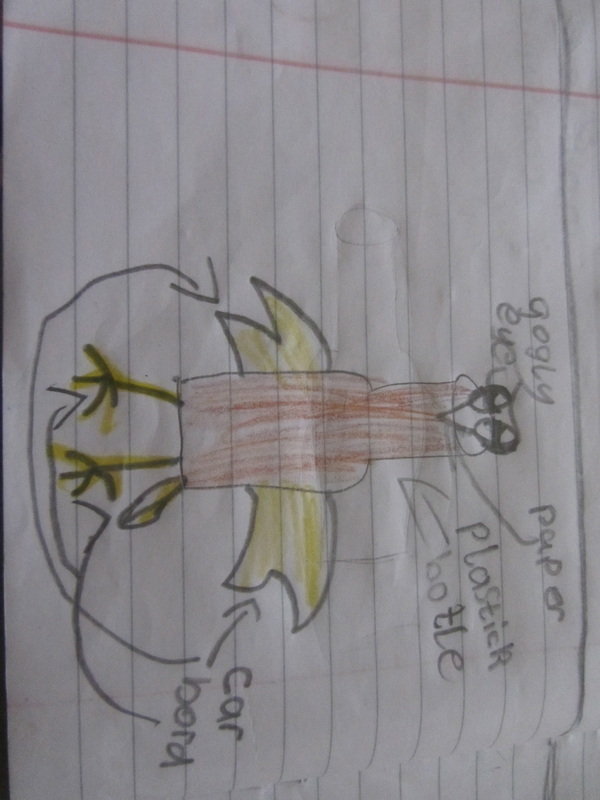 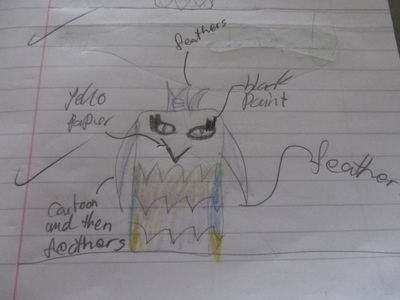 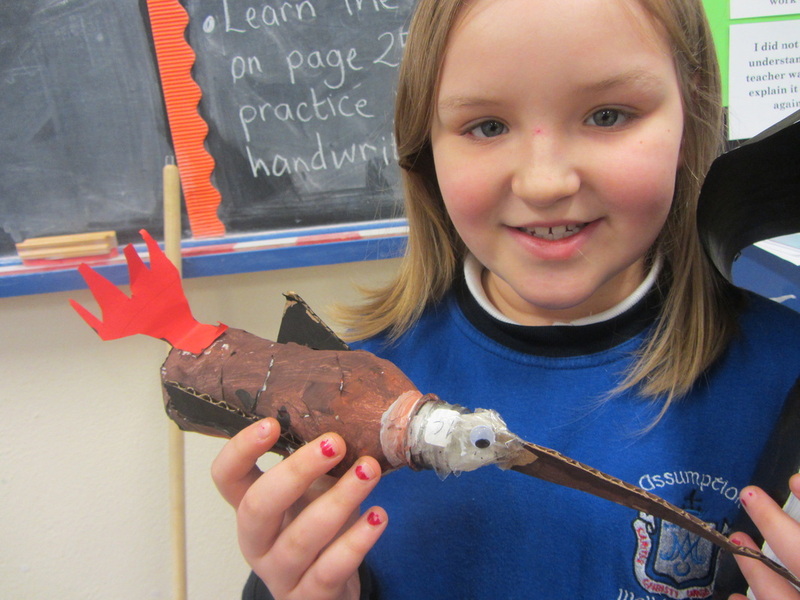 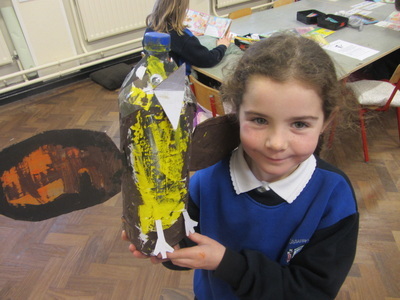 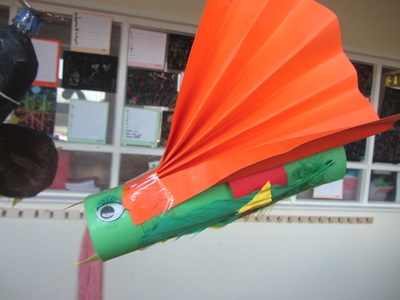 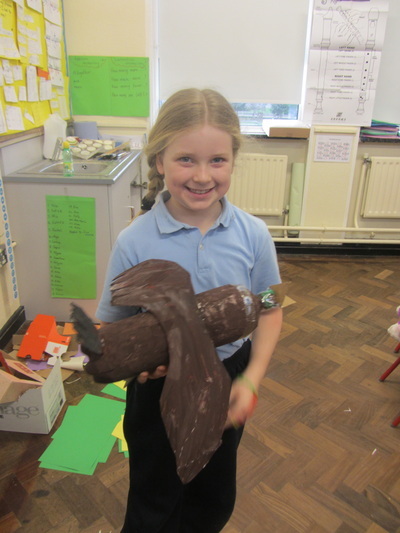 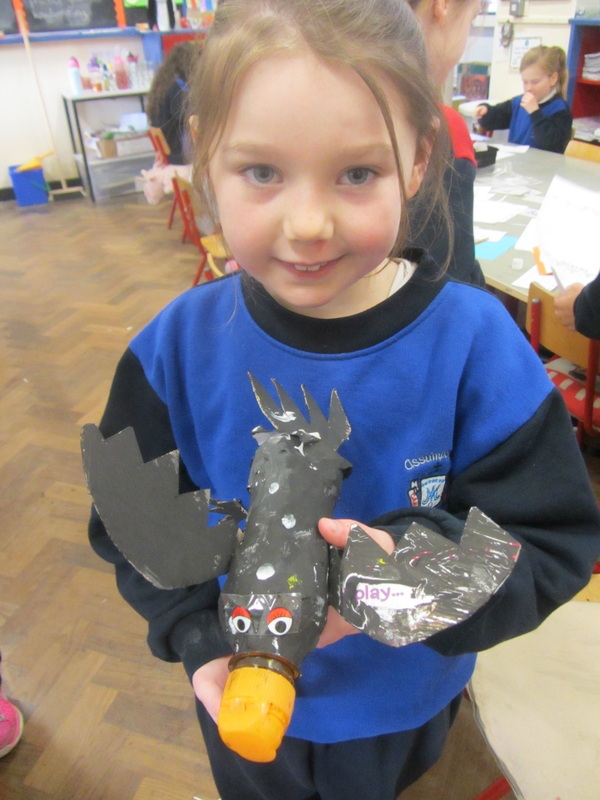 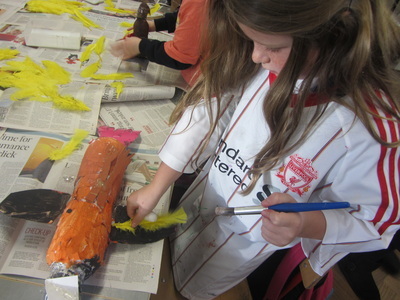 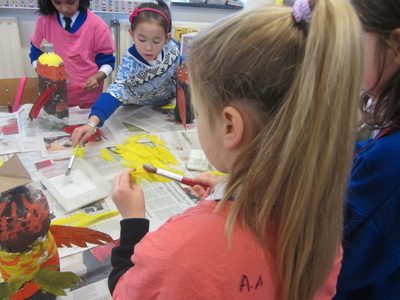 Students were asked to draw their designs for 3D birds - investigating possible design using a choice of materials. 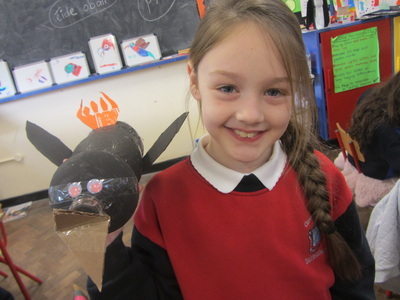 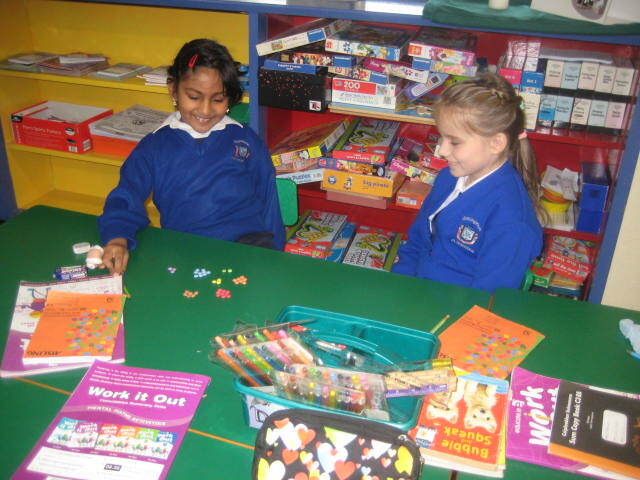 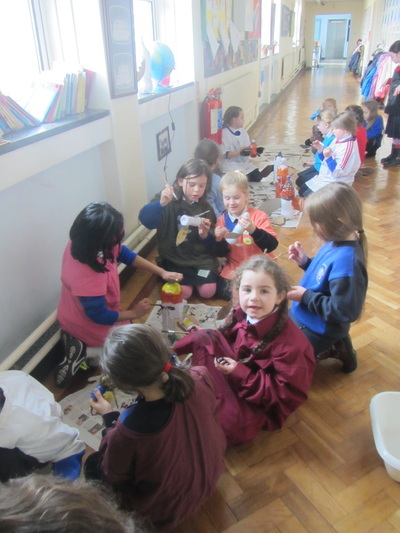 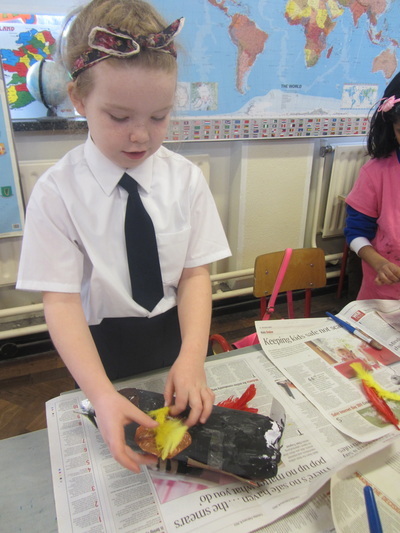 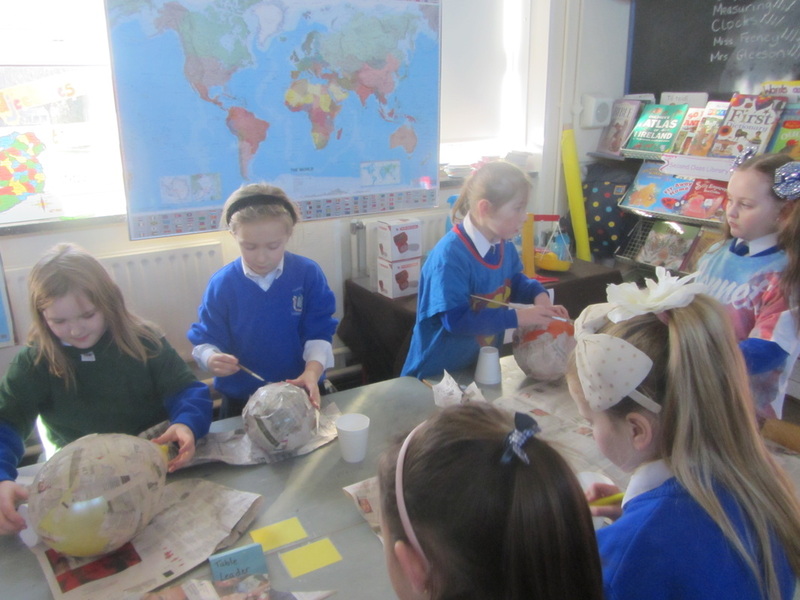 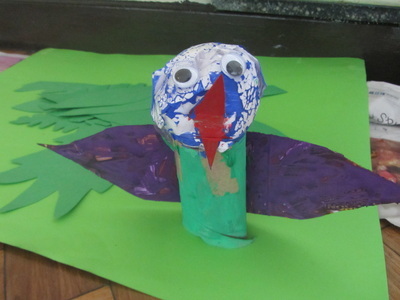 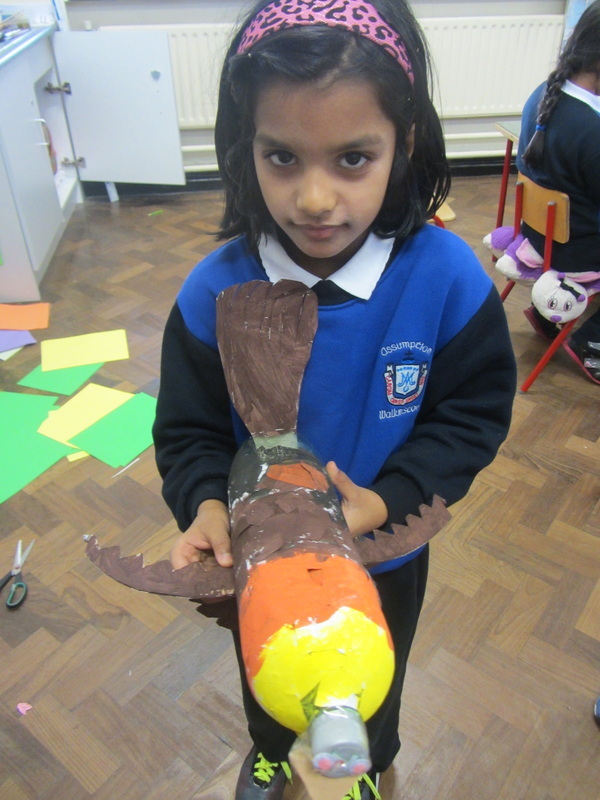 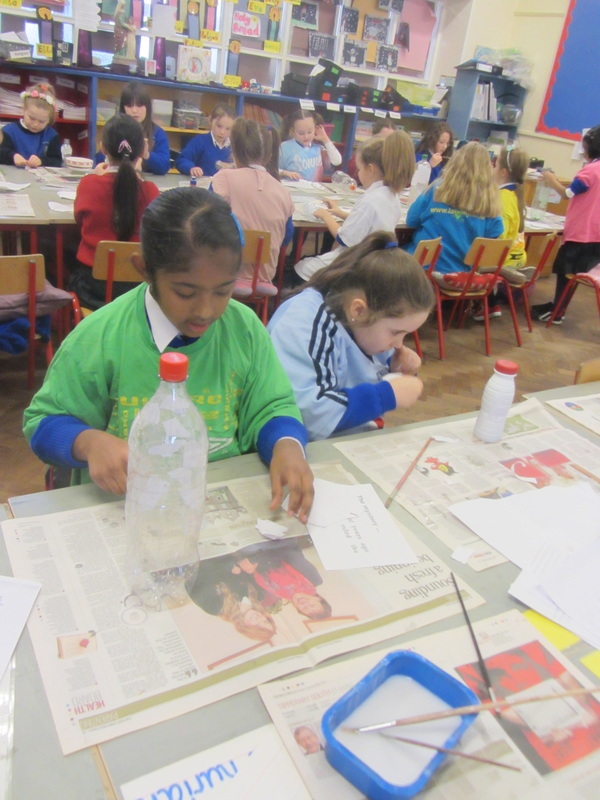 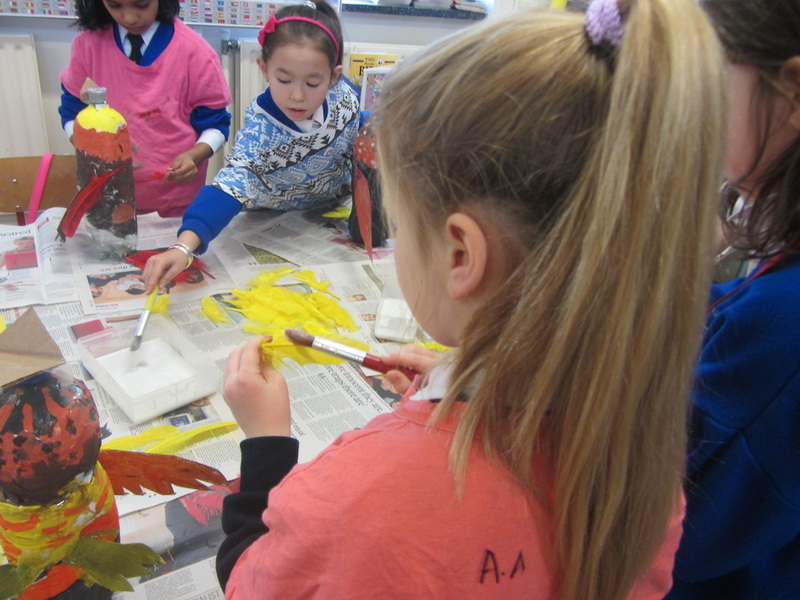 We had discussions about suitable and unsuitable materials, keeping in mind beaks, feet, wings, head. Using our designs and ideas to create our 3D birds. 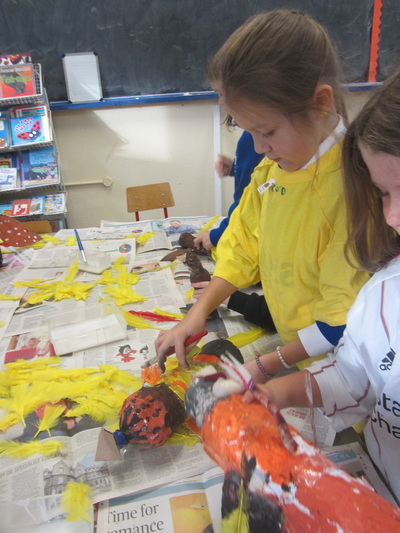 Working on the details and bringing our birds to life using the available material. 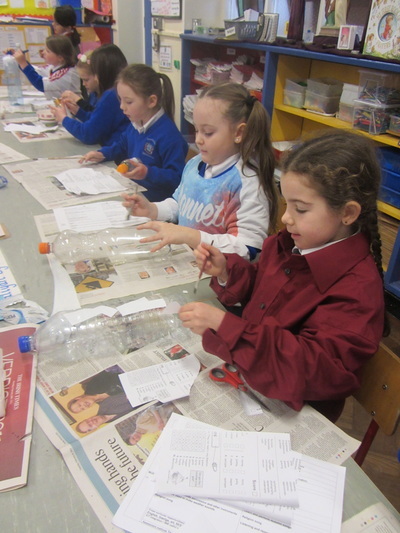 Making any last minute alterations and last chance to review our designs. 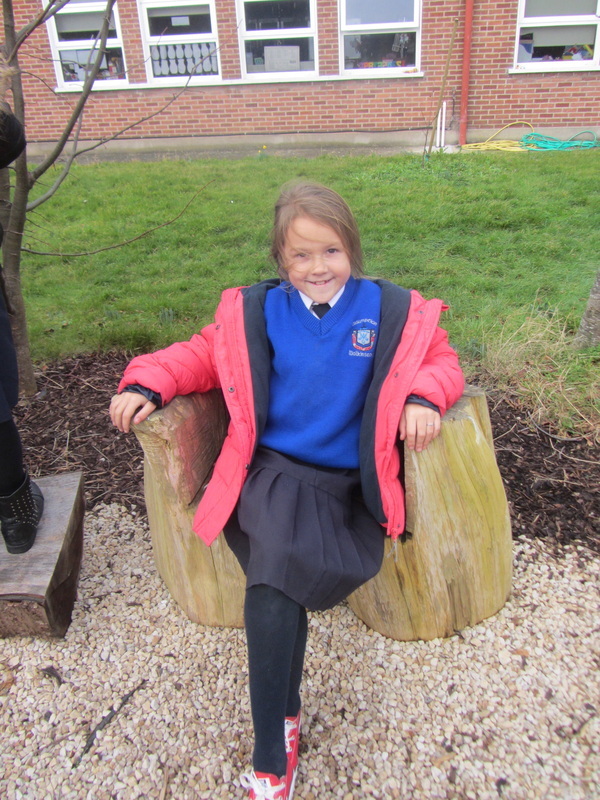 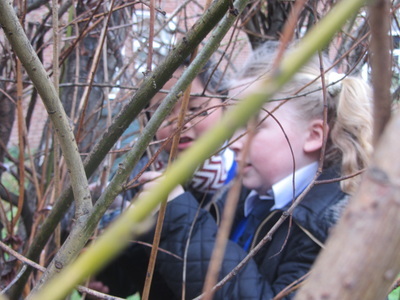 Fun in the school garden! 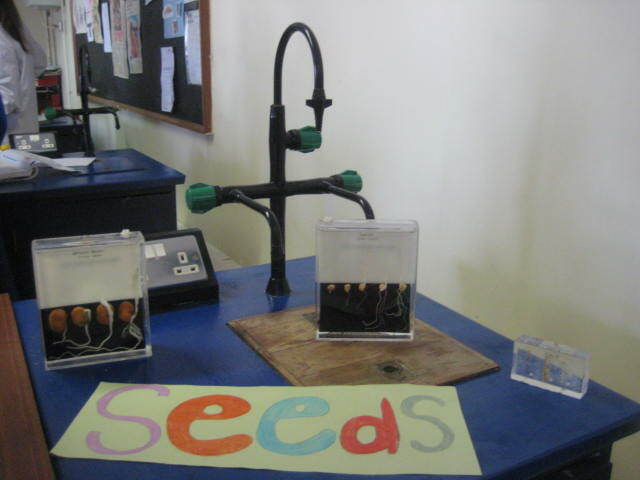 The students placed our mini homemade seed trays around the garden. 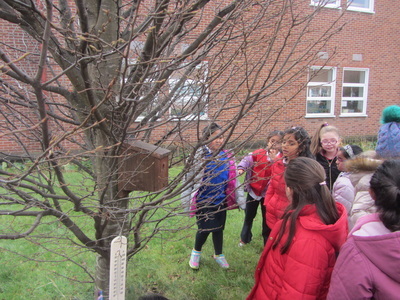 They found some great spots and we refilled our seeds trays and kept our school garden birds well fed! 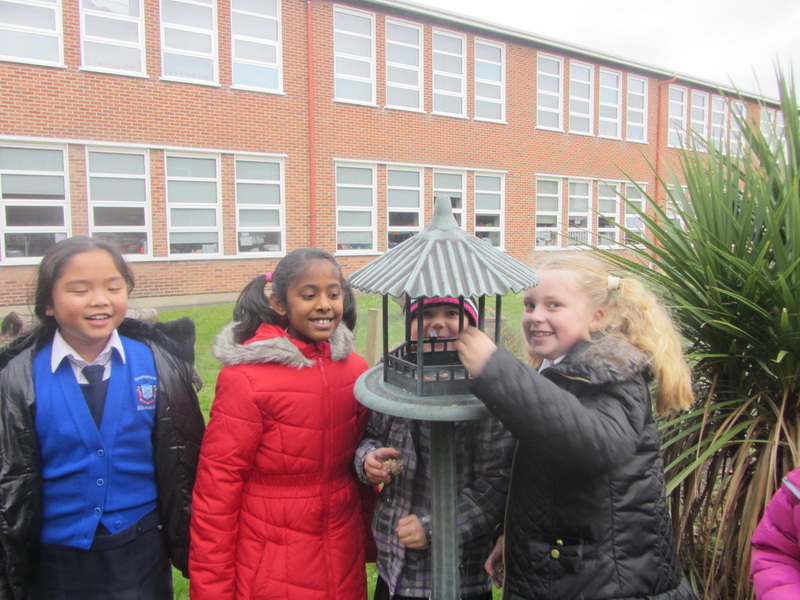 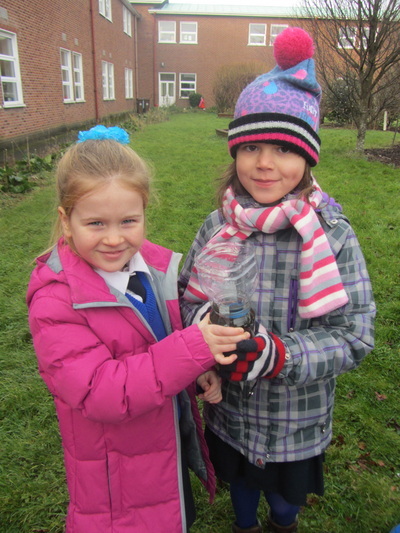 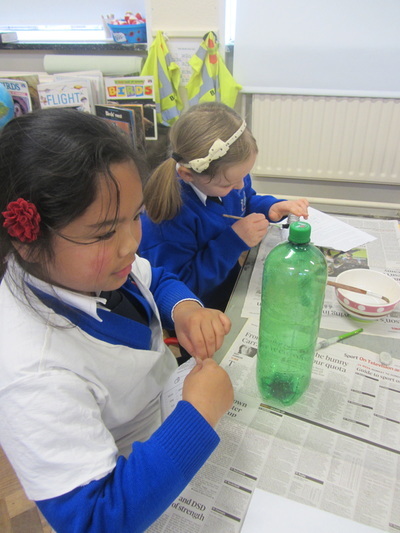 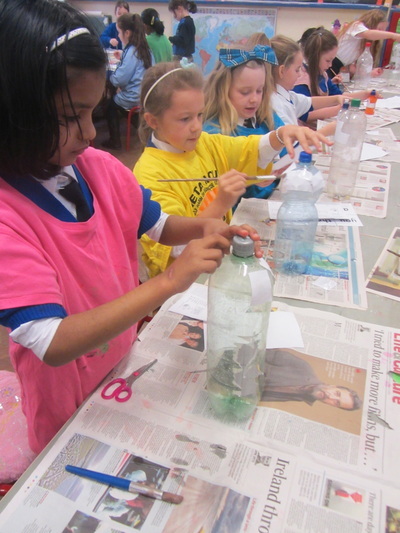 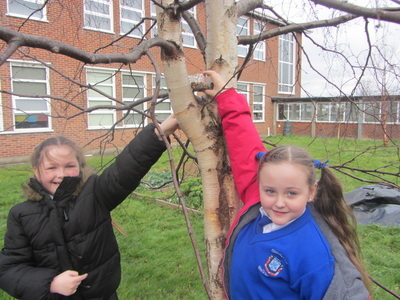 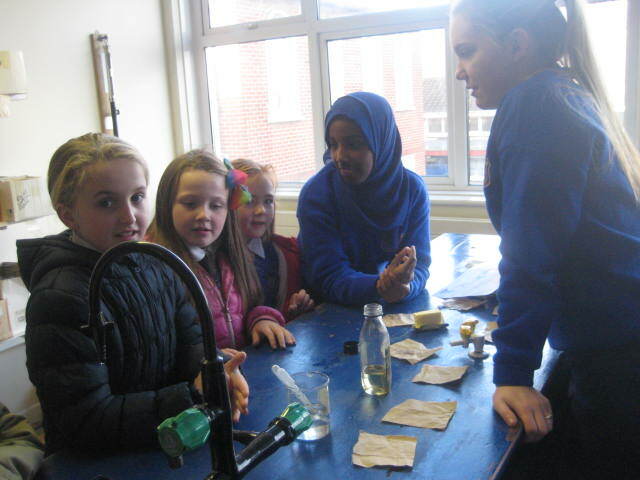 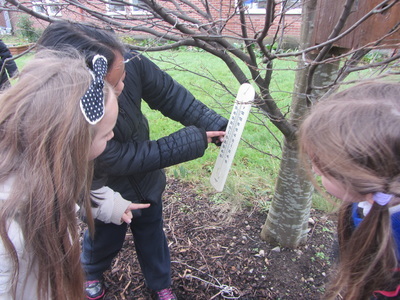 The girls also checked out the garden weather instruments including the thermometer and the rain gauge. 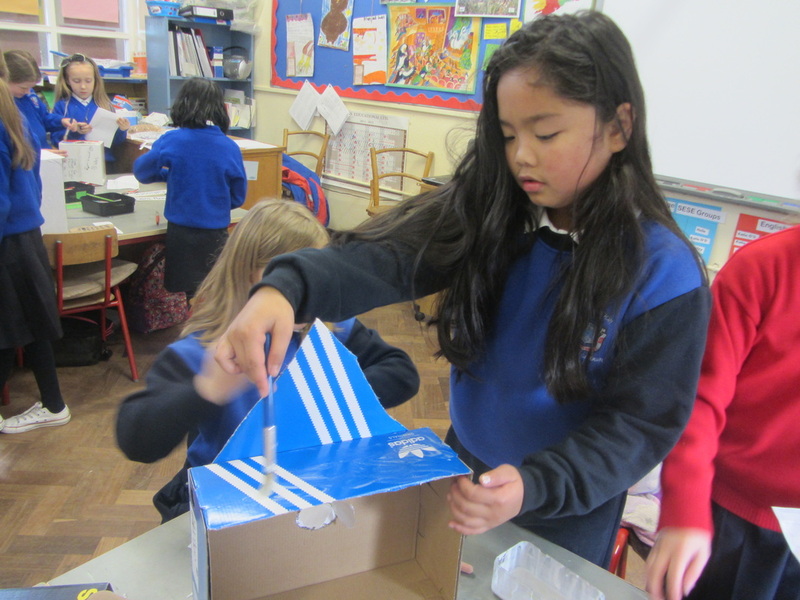 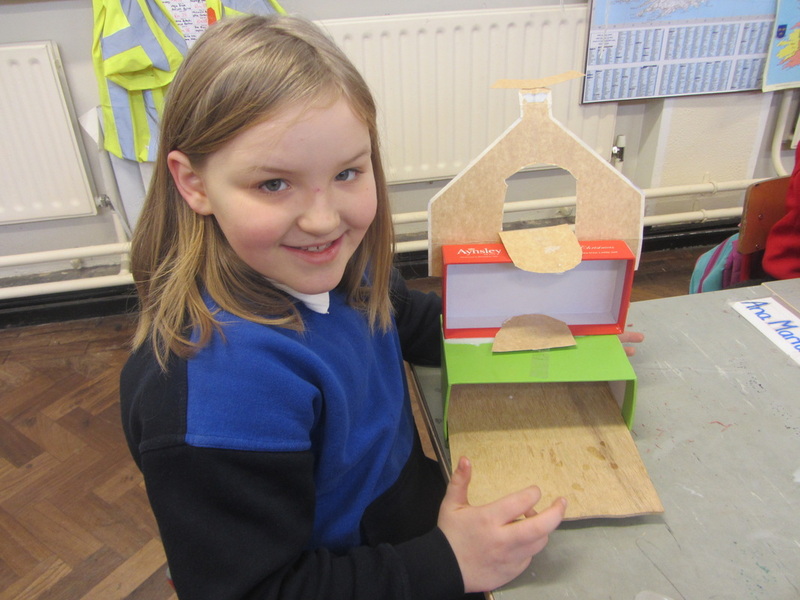 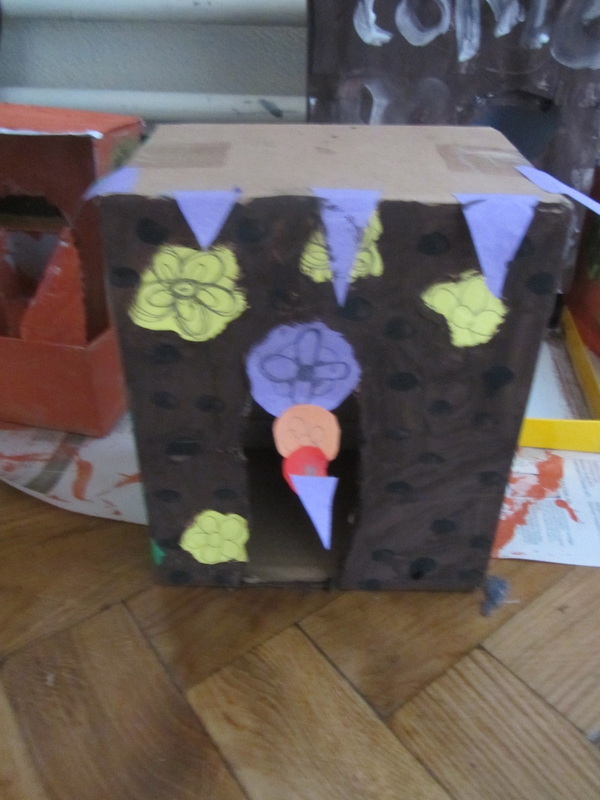 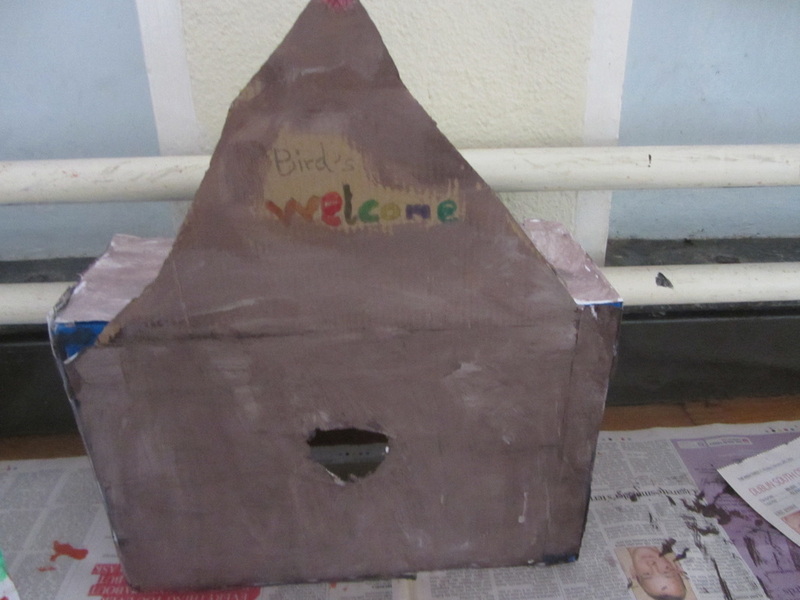 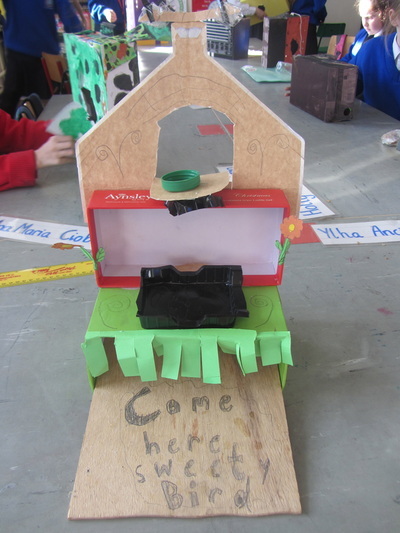 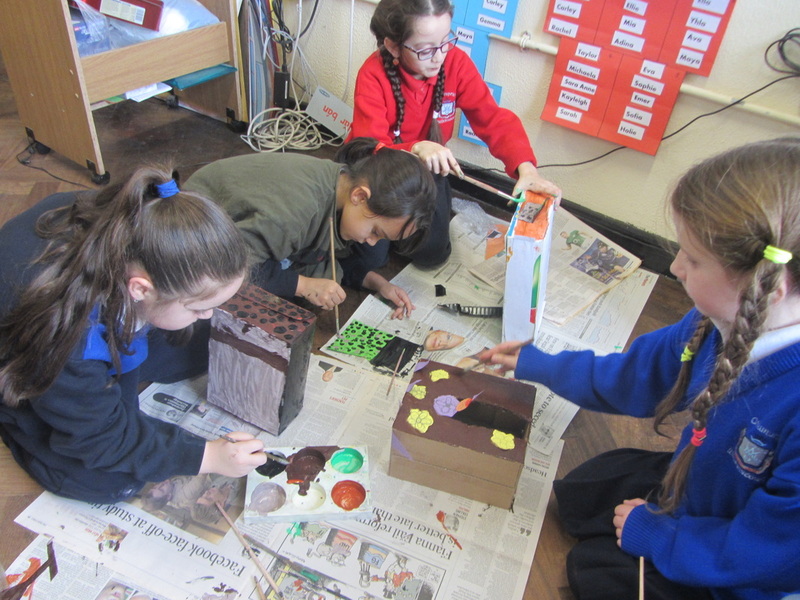 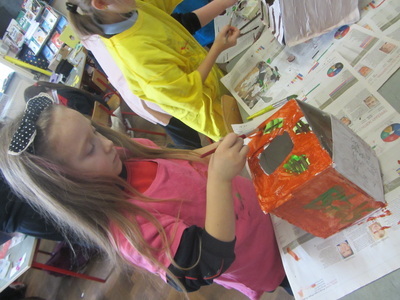 After our 3D birds the students moved onto our second design and technology project - BIRDHOUSES! 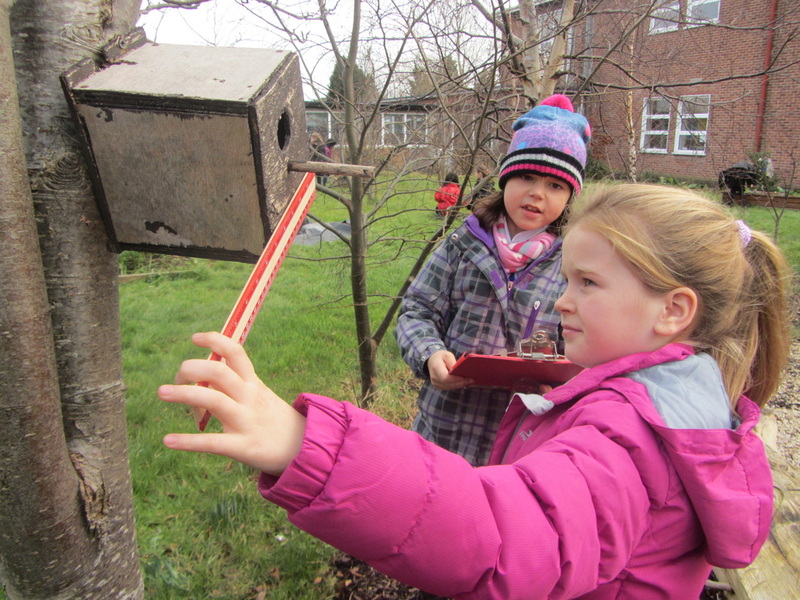 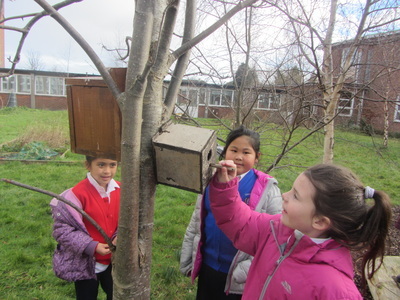 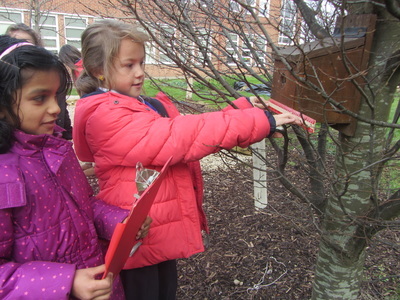 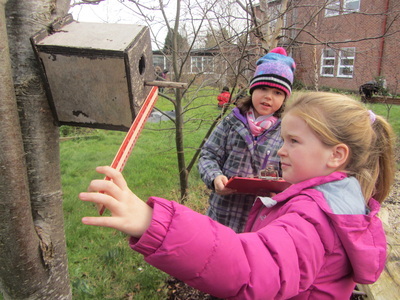 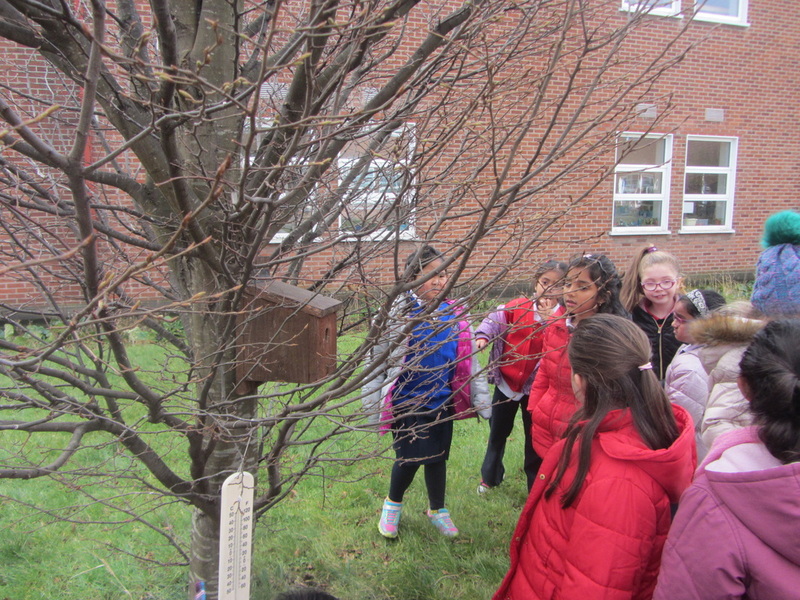 We investigated, measured and checked out the birdhouses in our school garden before moving onto the actual design and building process. 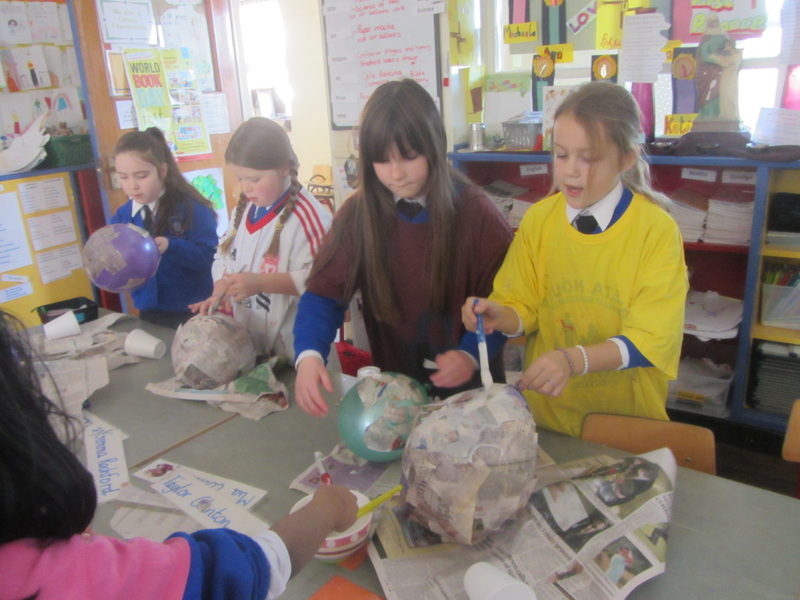 The teachers were very impressed with the high level of ideas, creativity and finished birdhouses that the girls produced. 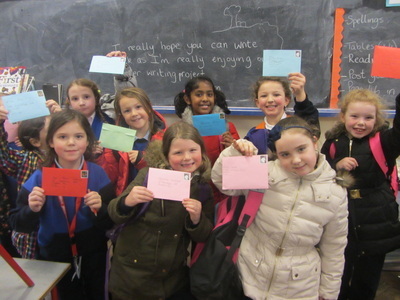 Good Old Fashioned Letter Writing! 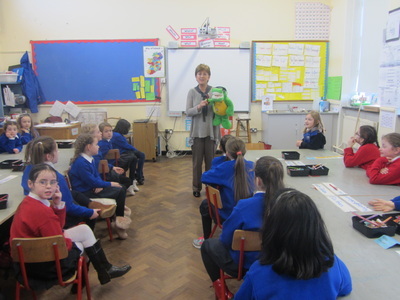 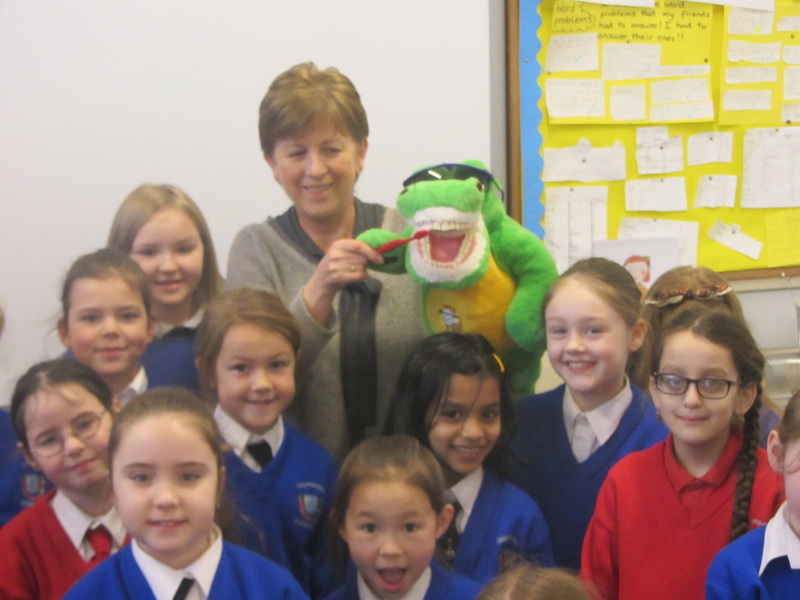 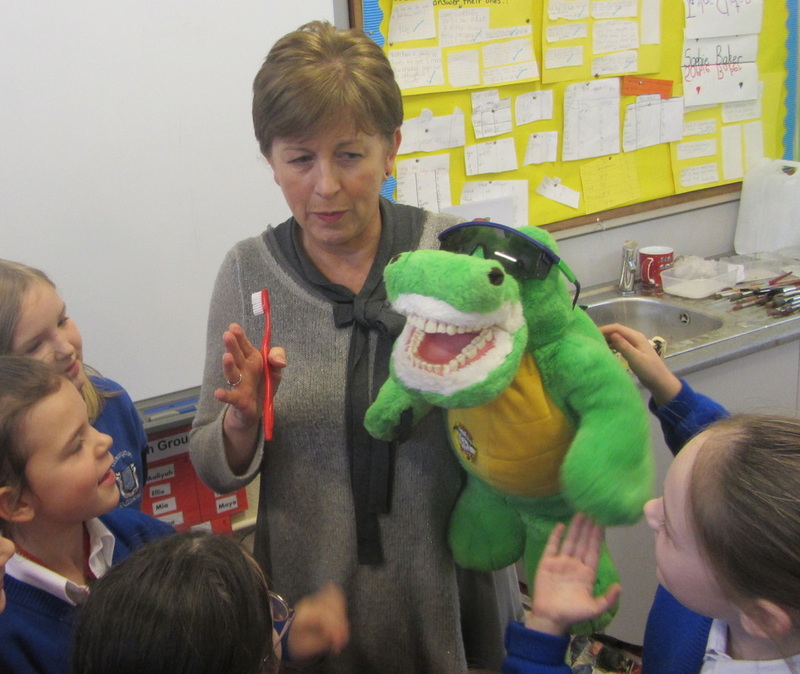 The Dental Nurse and her assistant Rocky visit us! 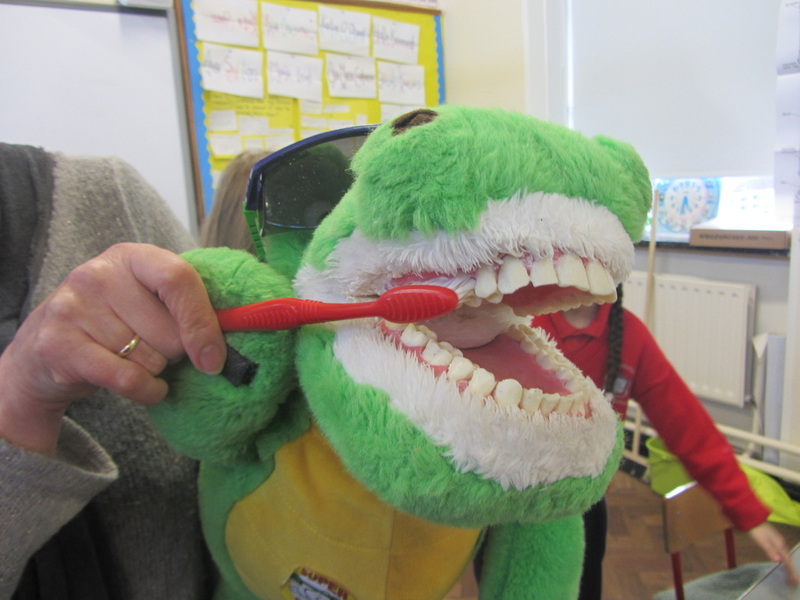 Remember to brush your teeth twice a day and two teeth at a time. 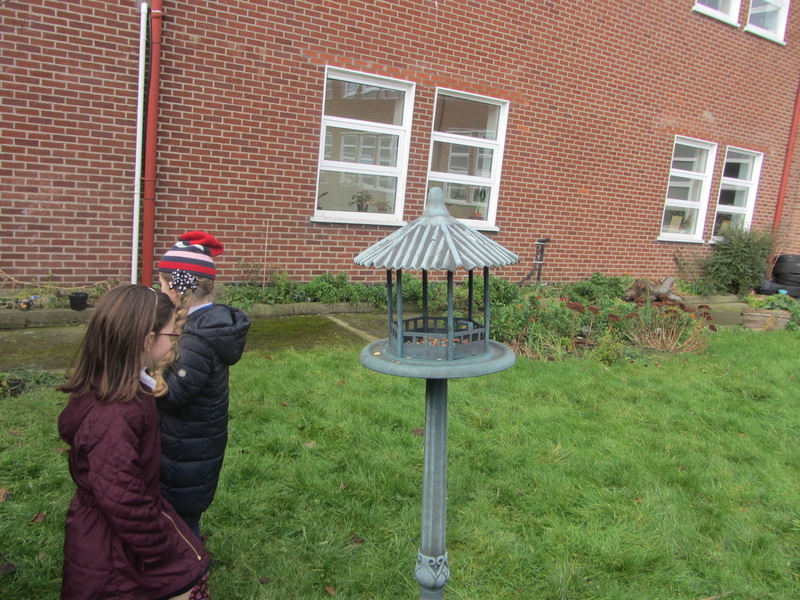 Science: Movement of hot and cold air. Hot air rises / Cold air sinks. 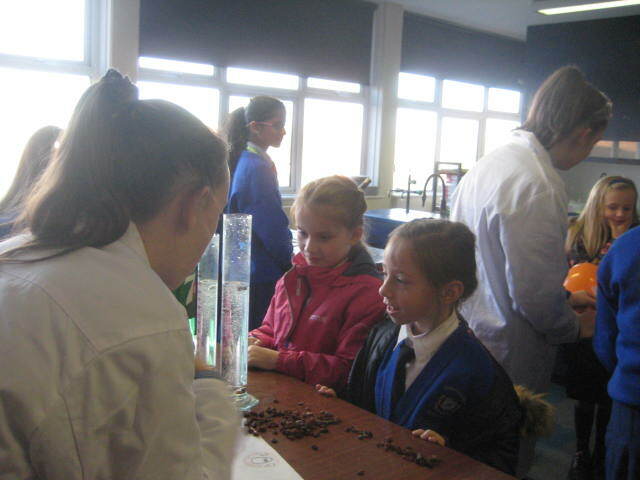 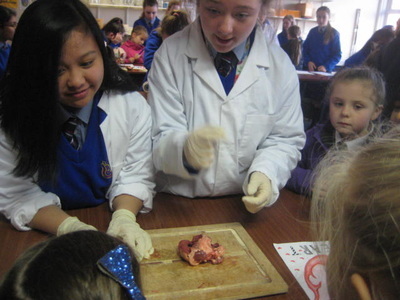 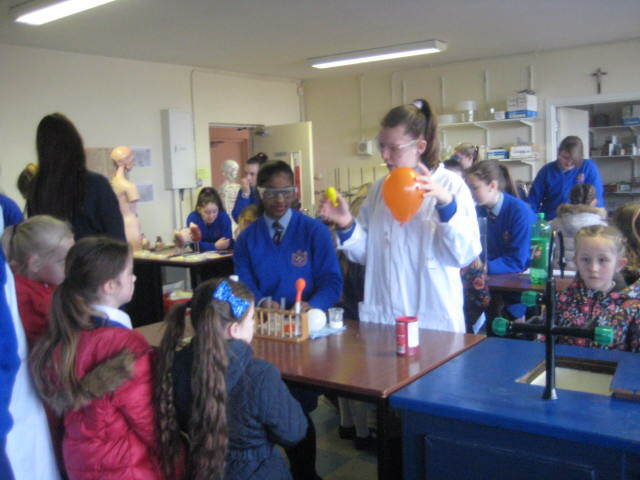 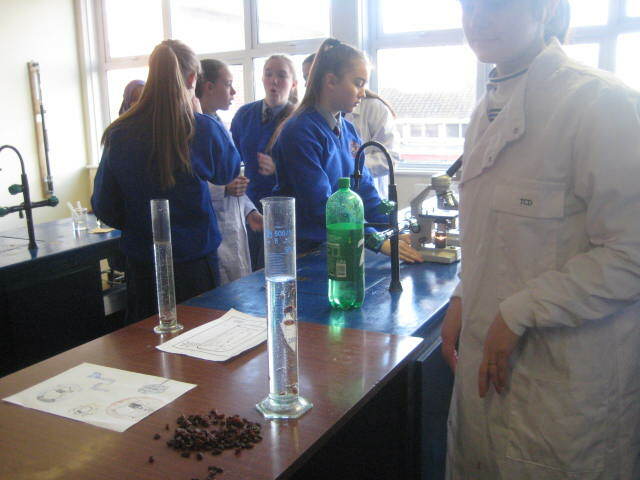 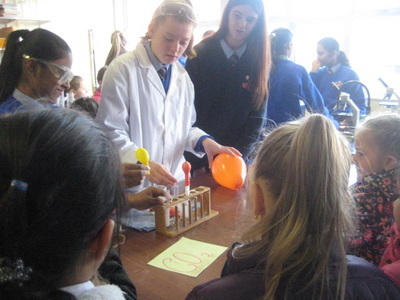 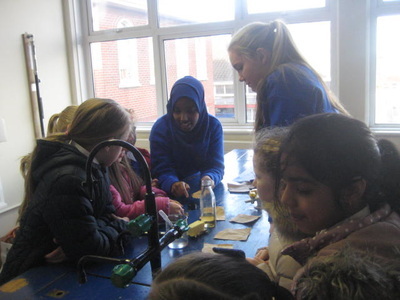 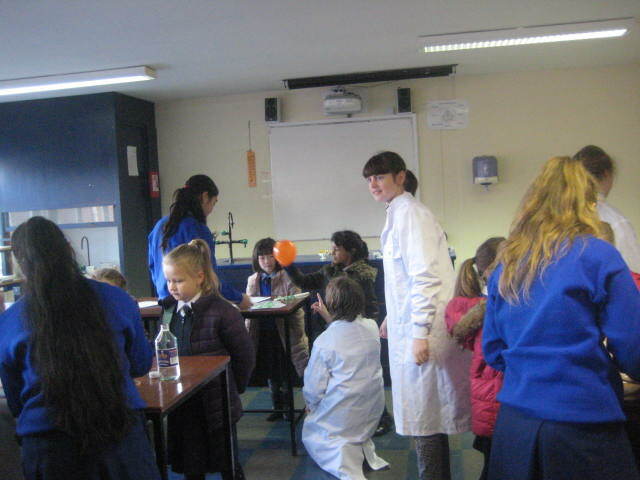 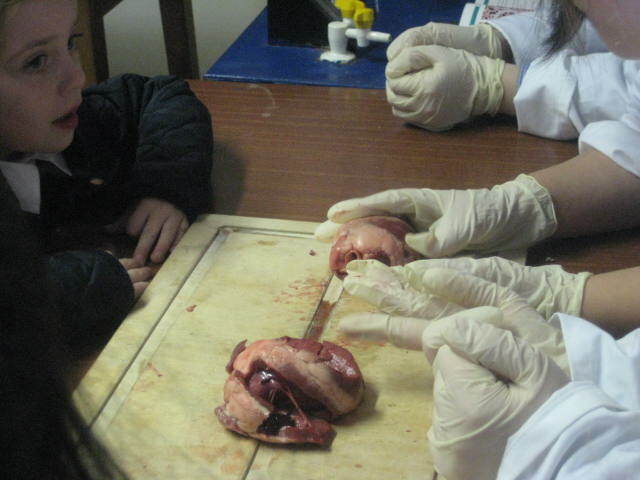 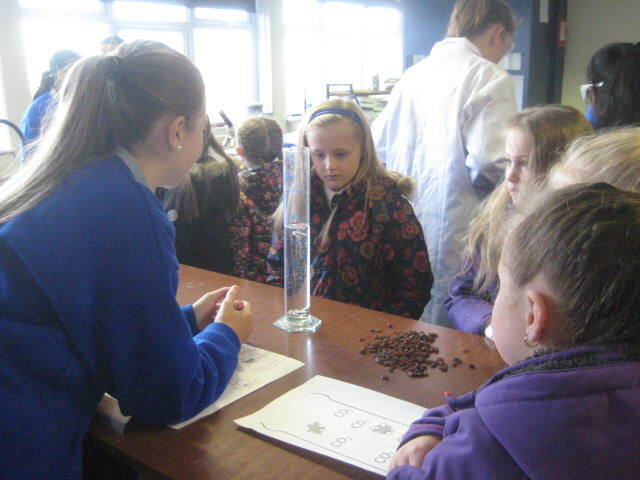 Experiments and plenty of discussion. 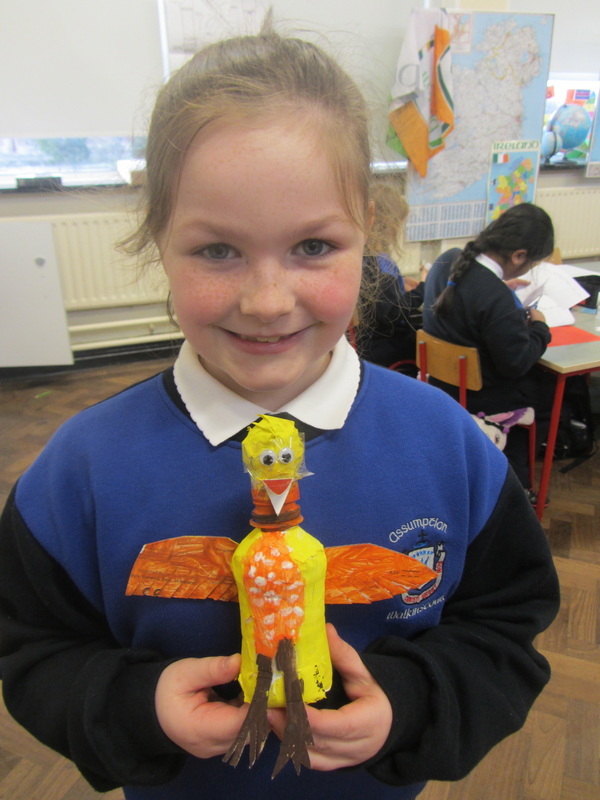 History: 1783 the French Montgolfier brothers attempted first hot air balloon flight, and put a lamb, rooster and duck in the basket! Geography: Mapping skills. 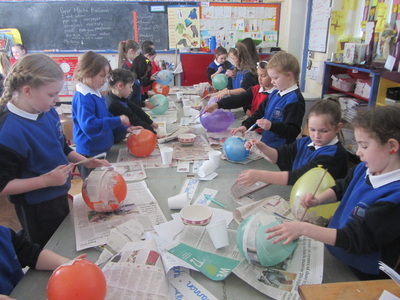 How weather forecasting influences hot air ballooning.